Wonder why bad things happen? 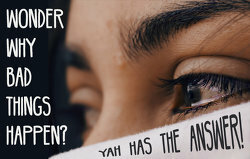 Yah has the answer! In a world of sorrows, the hurting heart wants to know why? Why, if Yah is a God of love, does He not keep bad things from happening? There are actually very good reasons why Yahuwah does not always prevent tragedies, but He is always present to strengthen and encourage at every step of the way. 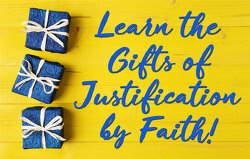 Learn the Gifts of Justification by Faith! Justification by faith is the gift that keeps on giving. It is a perpetual, never-ending donation of Christ’s own righteousness that brings other gifts in its wake. Creation? Or Evolution? Which do you believe? 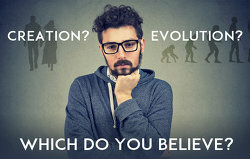 A surprising number of Christians are closet evolutionists in their spiritual lives. This stems from not understanding the Saviour’s atonement. Is this you?! Imputed righteousness is not the same as imparted righteousness. Read on to learn the amazing truth about the science of salvation. 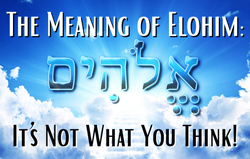 The Meaning of Elohim: It’s not what you think! Careful study of Scripture proves that not only is the Saviour fully human, but he was not pre-existent, either. 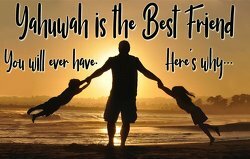 How, then, do we reconcile the use of "elohim" (a plural term) to decribe Yahuwah throughout Scripture? 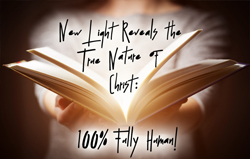 New light reveals the true nature of Christ: 100%, fully human! The heresy of a triune godhead has been used by Satan to cover up one of the most astonishing facts of salvation: Yahushua, the only begotten son of the one true God, was 100% fully human! 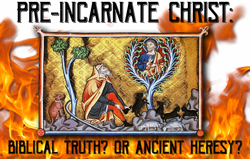 Pre-incarnate Christ: Biblical Truth? Or Ancient heresy? The doctrine of a triune godhead has been considered foundational to Christianity for centuries. The reality, however, is that the "trinity" is a belief straight from ancient paganism. The statements of Scripture describing the character attributes of Yahuwah come alive when we know what they mean. Learn how these words are defined and you will discover promises where you never saw them before! Interwoven throughout Scripture is a principle of unimaginable power, just waiting to be accessed by anyone who will claim it by faith. Scripture declares that Yahuwah cannot lie. The reason is simple: whatever Yahuwah states is so as soon as He says it! Yahuwah wants the promise contained in His name to be known and used. This is why Scripture repeatedly urges believers to "Call upon the name of Yahuwah!" 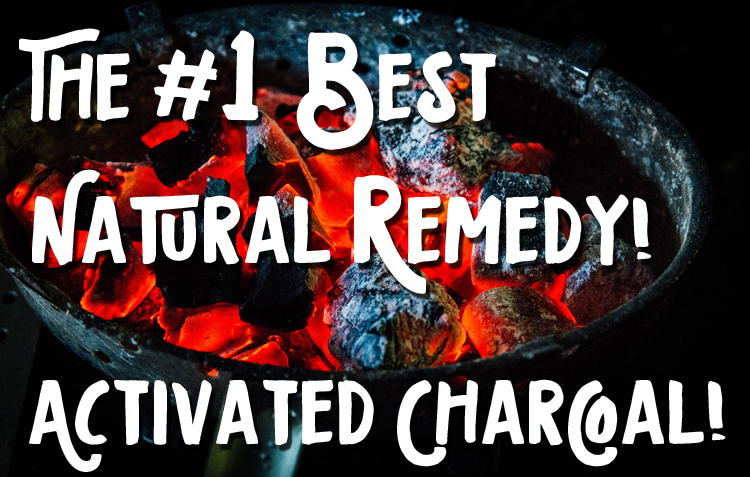 Of all the remedies available, activated charcoal has the widest range of usefulness and should be known by everyone interested in treating illnesses naturally. 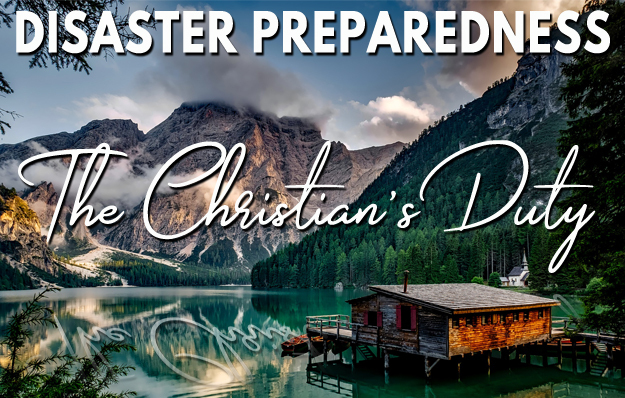 Living through earth’s final crisis is going to require a closer, more vital connection with the heavenly Father than has been experienced since apostolic times. 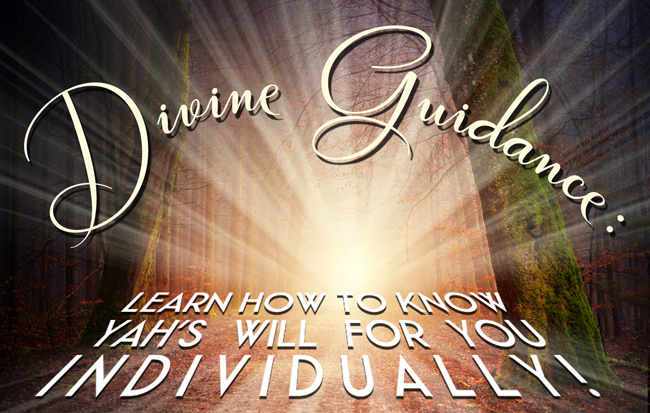 Each believer needs personal guidance because each, individual situation is so different. This requires not only a personal relationship with the Father, but the ability to hear and recognize His voice when He speaks to you. 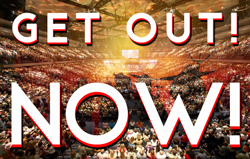 In all the furor and speculation over the mark of the beast, the one point most people miss is that a time is coming when “no one may buy or sell except one who has the mark of the beast.” Are you prepared for that moment? Without a doubt, we are living in the closing days of earth’s history. In years past, anyone preaching the end of the world was ridiculed and dismissed. Now, however, due to recent world events, people all over are waking up to the seriousness of the times in which we are living. Are you ready for the days ahead? 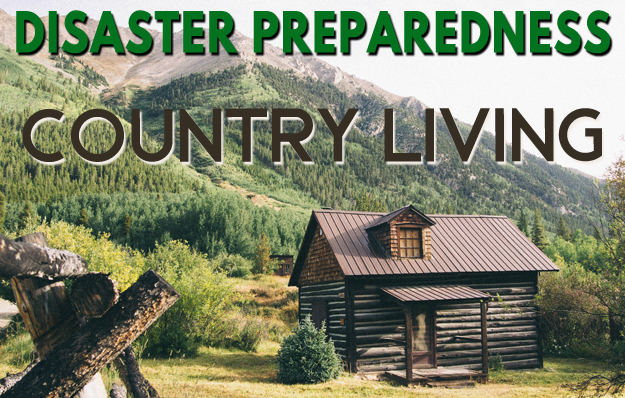 Do you even know how to prepare? This timely article will help get you started! Heaven is warning the world but, strangely, the vast majority of people assume the warning does not apply to them! Why is Jeff Bezos, the richest man on earth, ignorant of Yah’s vaulted dome? 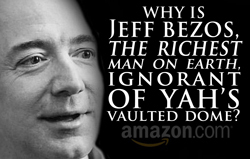 Jeff Bezos has been incredibly blessed by Yahuwah. So why is he using his billions to promote the devil’s agenda? 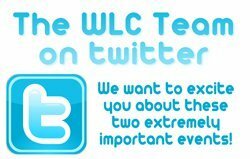 WLC challenges Bezos to study his Bible, learn the truth, and reverse course immediately! The consequences of knowingly promoting error are dire. Seriously. No catch. 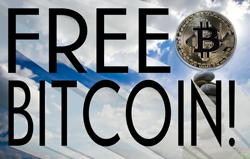 We’re giving out Bitcoin for free. We are so excited about Bitcoin and the freedom from centralized banking that it offers, we are sending out 10,000 Satoshi (a unit of Bitcoin) to anyone who is a registered user at WorldsLastChance.com. We want to excite you about these 2 extremely important events! We are awaiting with great anticipation 2 very imminent events: 1) The sighting of Father & Son when the firmament recedes like a roll. 2) The sudden emergence of the 2 witnesses/prophets. We want to excite you about these 2 extremely important events. Can we get you excited? 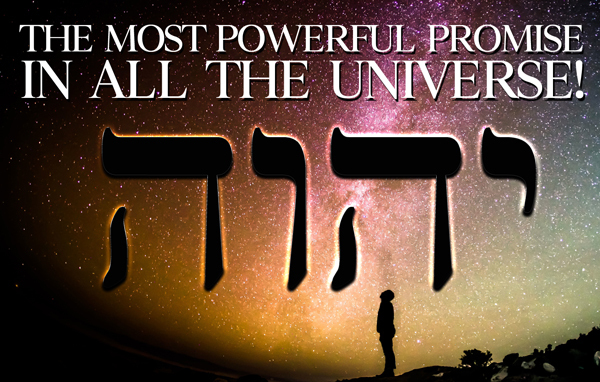 As we roll at increasing speed to the end of Earth's history, prophetic events are going to be continually fulfilled! This article will serve as our Checklist for these events! 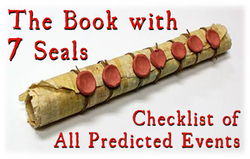 As prophecy unfolds, we will be marking the check box for that event. We invite you to keep visiting this resource. And if a better understanding is achieved regarding certain events, we will update the page accordingly. Always have the spirit of learning and continue to search the Scriptures!